Samsung announced this morning that it is taking pre-orders on its Ativ Book 9 Lite notebook PC, which was first announced on June 20. One of the most interesting features of the new notebook is the custom AMD CPU, which Samsung is describing as a “white-label” quad core. 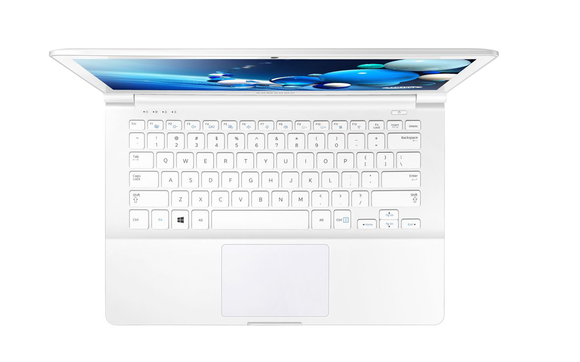 The Ativ Book 9 Lite will be available in two colors: "Marble white" or "ash black." 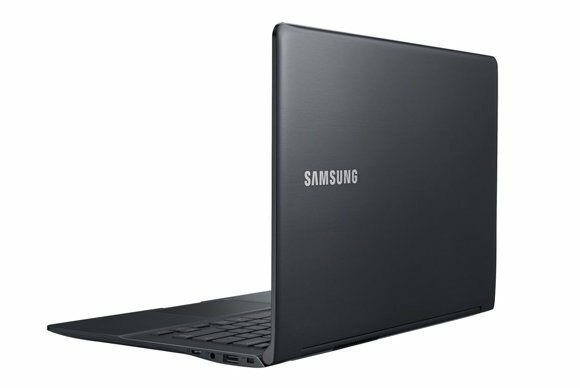 Be that as it may, Samsung tapped Intel’s new Haswell chips to power its flagship notebook—the Ativ Book 9—which made waves last month when Samsung revealed it would come equipped with a 3200 by 1800-pixel, 13.3-inch touchscreen. The Ativ Book 9 Lite will also have a 13.3-inch touchscreen, but this one delivers a more down-to-earth resolution of 1366 by 768 pixels. And while Samsung has not announced pricing or availability of its flagship notebook, the Lite model is selling for a reasonable $800 and is expected to reach customers beginning July 28. The new notebook will support Samsung’s SideSync technology, which lets you connect your Samsung smartphone or tablet, back up the device’s data to the notebook, and use that device as an accessory to the computer. So you can use the connected device as a second screen for your computer, and you can see a virtualized version of the connected device’s screen on the notebook. You can also control apps running on the smartphone or tablet using the notebook’s mouse and keyboard. This feature makes it possible to do things like read text messages sent to your phone on the notebook’s screen, and then use the notbook’s larger keyboard to write text messages that will be sent through the phone. SideSync will work with any product in Samsung’s Galaxy line. In addition to the quad-core CPU, the Ativ Book 9 Lite will be outfitted with 4GB of DDR3 memory and a 128GB SSD. It will have one USB 3.0 port, one USB 2.0 port, a Mini VGA port, a micro HDMI, a three-in-one memory card reader, and a 802.11b/g/n Wi-Fi adapter. The computer measures 0.69 inches thick and weighs 3.48 pounds.